This week’s layout is inspired from a card that Carla sent through a couple of days ago for the new year. You can find the original here. 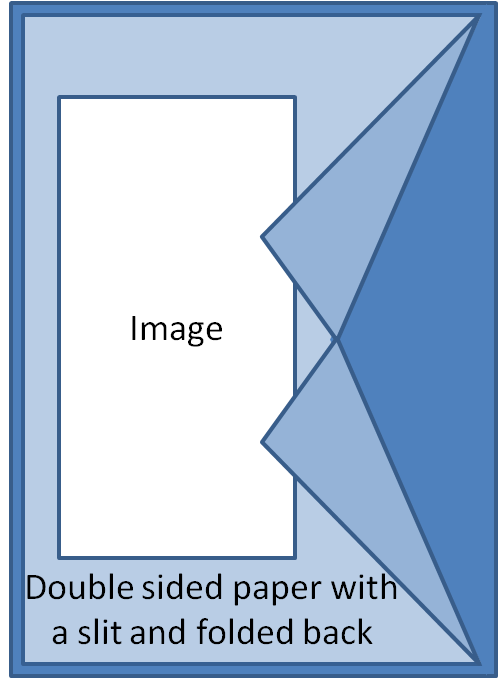 A double sided paper with a small slit and the sides folded back in. If you don’t have any feel free to cut out 2 triangles. The original one by Carla has some text and some embellishments (2 rockets to celebrate the new year), I didn’t add them to the image but feel free to add them if you wish. Let’s see what you can do with this one. The deadline is Sunday 10th January. We had 9 participants this week and see how all different these cards are ! Shall we see your card at the next Layout challenge? How wonderfull to see that my New Year card is chosen for the layout challenge. I’m looking forward to what you ladies are going to make with it. Ladies you made some wonderfull cards with the ‘layout’ I used on my new years card the group. Give yourselves a HUGE pat on the back… well done.